I hope you all had a lovely Christmas and are full of optimism for the year ahead? My first blog post this year cos with great nervousness from me as it is my first project as part of the pan pastel design team. I hope you all like it... If I forget to explain something and you want to know please give me a shout!!! 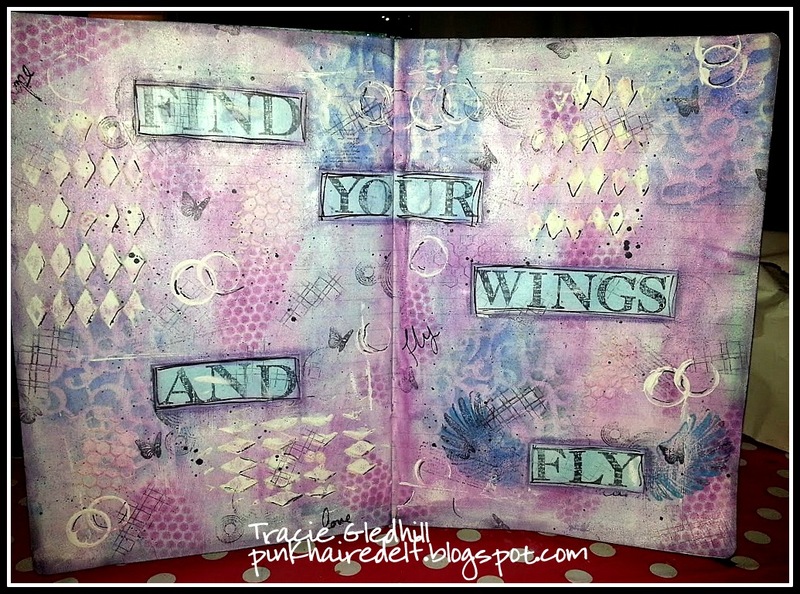 I chose to make a journal page for the anything goes challenge. I started by gessoing my page with the maimeri gesso. Once that was dry I randomly applied a base wash of colour using magenta and turquoise pastels. 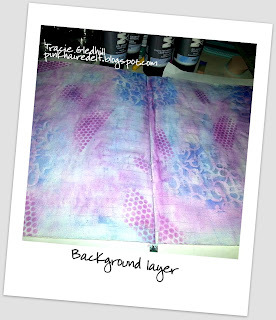 I then sealed that layer with fixative spray so that the colours wouldn't blend with then next layer... Then using crafters workshop templates I added random patterns using magenta shade and ultramarine blue. I sealed this layer by covering the page with maimeri matt medium. I used a craft scraper (OK OK it was an old boots card!) To scrape gesso thru the harlequin template randomly to create interest and lift the page. I also used bottle caps in the gesso to make the rings. 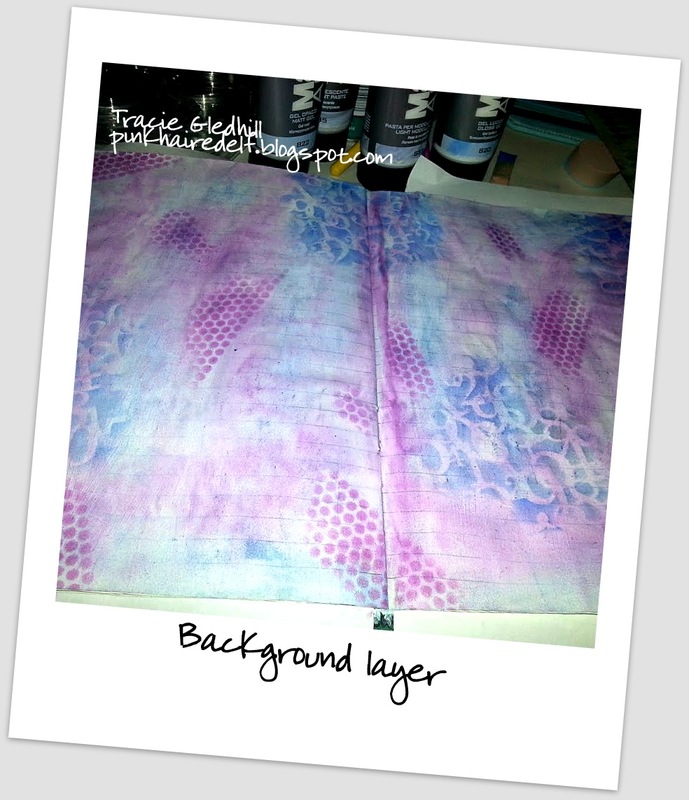 I also mixed some magenta pan pastel with the gesso and scraped that thru the honeycomb template. 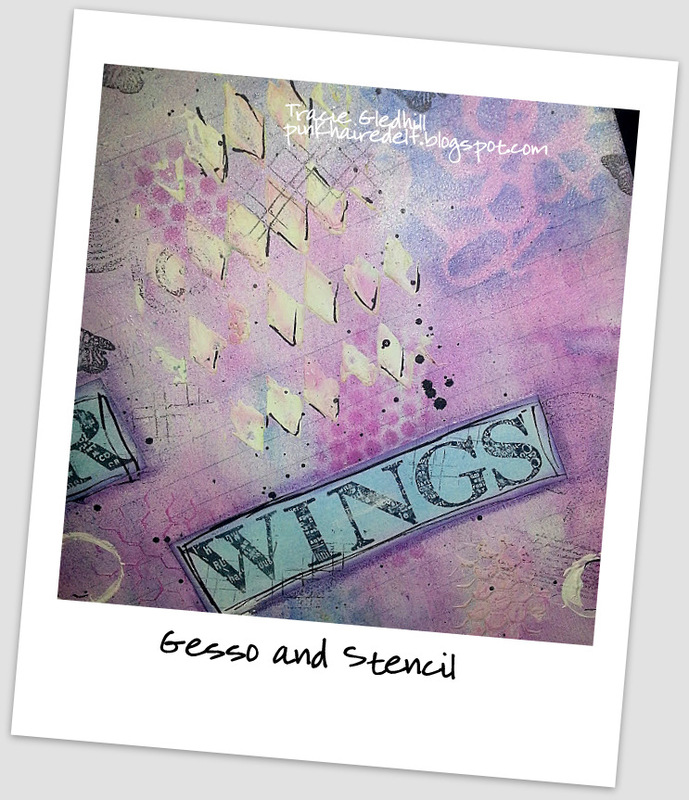 I used random stamps and black stazon to add some images. 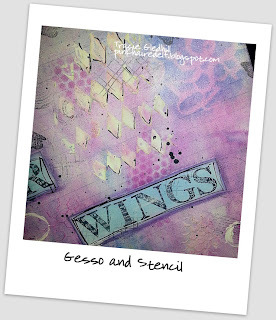 I also stamped wings in versamark . 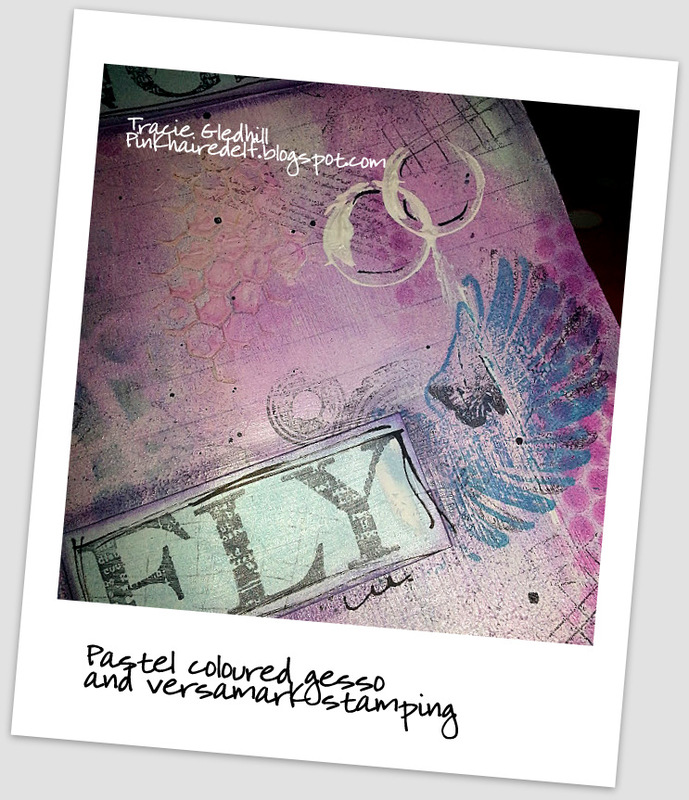 I then added ultramarine pastel over the versa mark to highlight the wings, and over stamped in black. 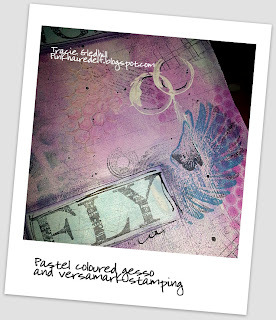 I stamped my phrase on white card and coloured with turquoise pastel. I adhered this to the page with matt medium. Finally using a black posca pen I added random doodling and used violet extra dark pan pastel to edge the page and highlight the word blocks. Pastels and mediums available from your creativity store. I hope you like my page.. Please pop over to the challenge blog and join in!!!! 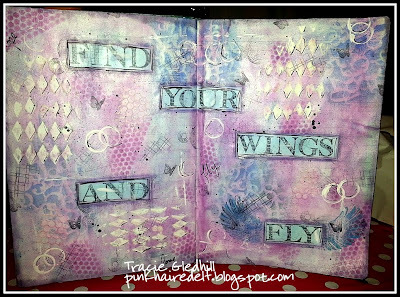 Great journal page, I love the colours. 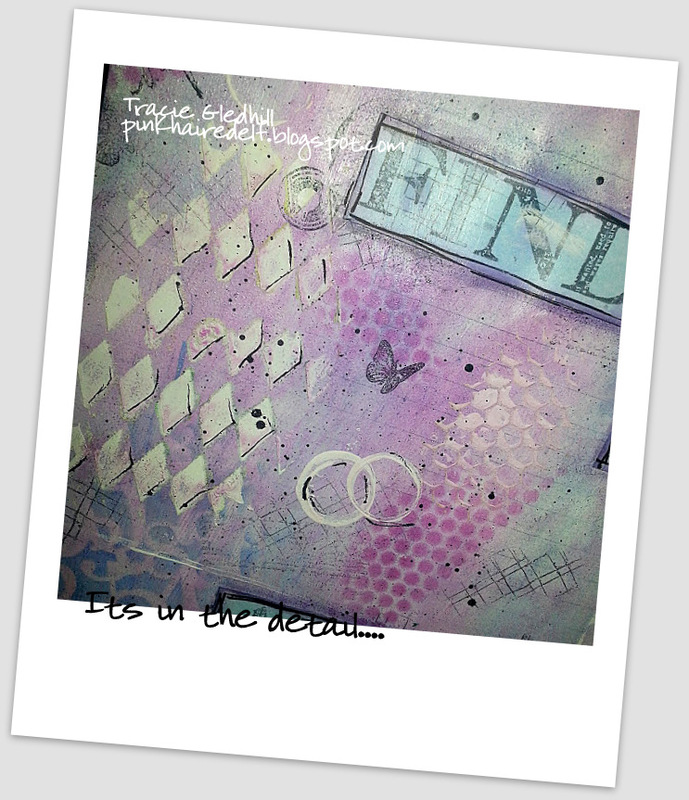 Fabulous, fabulous work here, Tracie... I love the layers and the colours you have used... I have an 'old boots card' as well!!! Great to see you back. I love Pan Pastels but I have not yet worked out how to use them in my crafting, your piece is inspirational. what a fabulous spread..I love the texture, the saying ..the colors! Wonderful!